Reports are surfacing that a Hong Kong-based investment company is ramping up an ASIC mining hardware business that will drop four Petahashes (PH/s) of computing power onto the Bitcoin network by the end of March and at BTC World News, we ask the proverbial question as to why? What purpose is there to mine Bitcoin at countless rates by a single entity? We’ve reported before how important it is that an equal and fair balance of Bitcoin Distribution needs to take place? Today we hope that the Guardians of Bitcoin are listening, (IE: The Core Developers), and put their foot down and establish a standard when it comes to mining rather than the free for all, as it is currently. What happens to the current miner when the Petahash miner spikes the difficulty rate and the result places the majority of miner’s on the market in a situation where it is unprofitable to mine Bitcoin or for that matter, introduces a shift in the natural balance of Bitcoin? The question is, what is the overall affect to the Bitcoin Ecosystem when introducing super-high capacity miners to the network? 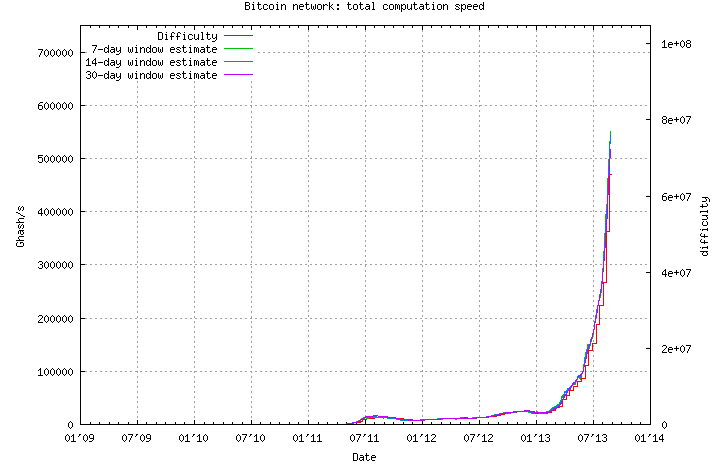 Is there a presumption that Bitcoins can be mined at a faster rate than what it is supposed to, by design? It seems that this is an attempt to compensate for what they don’t have, technically speaking ;-). Though the fact is, China has been noted as, “late to the table”, which may be part of the motivation to commission such a device. Pondering the meaning of “why”, we know there is roughly 10 million or less Bitcoin’s still available to be mined where at today’s current rate, there’s approximately 1,300,000,000 or 1.3 Billion left to mine before we enter the realm of a, “Precious BTC“. Yes we coined it, (no pun intended), which is the underlined principal of what creates value, (less is more) and where theres a limited supply of something, thus a precious mineral like gold or in this case, a precious BTC can a declared value be established. It has always been our estimation at BTC World News that Bitcoin’s value in total will be approximately 4 times the current world’s worth and with the nation debt climbing astronomically, who’s to guess what that final value of 21 million Bitcoin’s will end up as, Quadrillions perhaps? Following this report, it is said that an Asian datacenter and a $12m, four Megawatt supercomputer is under development and it’s reasons like this that no Government will declare Bitcoin illegal at this point, mainly due to the detriment it would cost the country that attempted to ban it. The company investing in this massive miner is Massive Luck Investments and Bitmine who are jointly building a data center in China that will host mining power using the third-generation chips. That facility, which will cost just under $1 million, will be finished around February, although it will start hosting CoinCraft processors in small quantities in December. China is making huge strides forward as Massive Luck released a statement pertaining to FDI, which indicates a classic case of testing the waters. We hope you’ve enjoyed this article on Petahash, Really and hope you would consider donating some BTC to us here at BTC World News. Simply click the Donate link to donate any amount of BTC. Your contribution is great appreciated. Be sure to follow us on Twitter @BTCWorldNews and like us on Facebook.com/BTCWorldNews for all the latest Bitcoin News, Information and Trends.